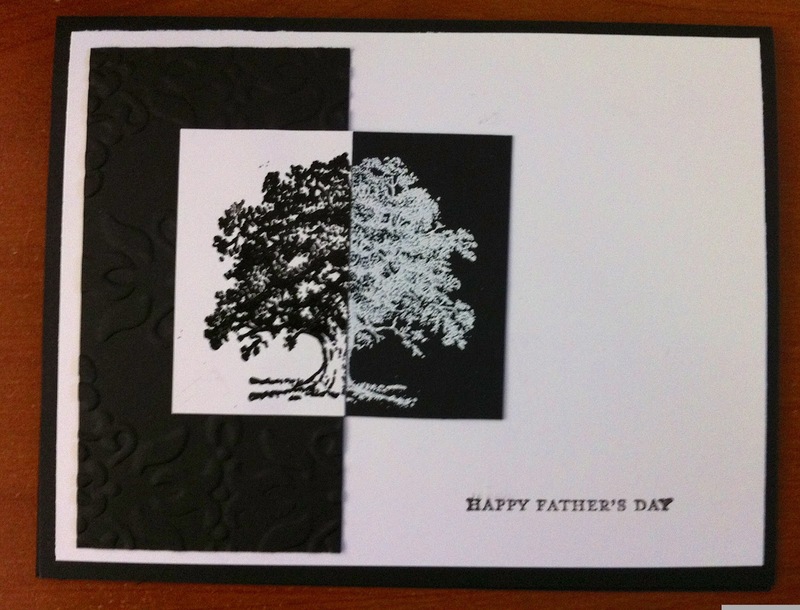 Inkspire Me: Father's Day "Reverse Negative"
Father's Day is coming and the one comment I hear most often from my customers is that they never know how to make a masculine card. Check out this great Father's Day card I created at Stamp-a-Rama this past weekend, using one of my favourite sets, Lovely as a Tree and Teeny Tiny Wishes. To learn how you can make this amazing card, book your workshop today! Email or call, 905-320-4477 to pick a date that works for you!